Rachel Pierson, Work In Progress: Moving, keep on moving. The company that I’m working for at present is in the process not just of designing their latest product, but of moving offices. 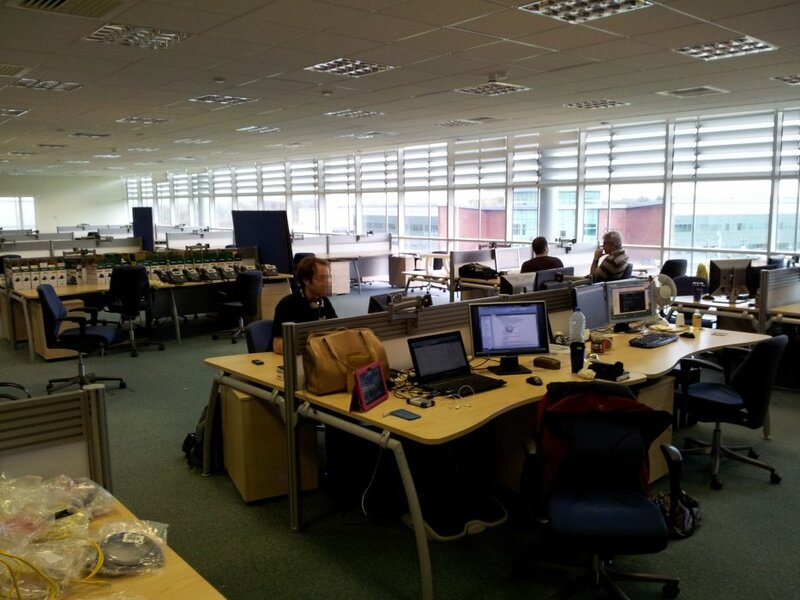 A small advance party has been sorting out arrangements at our new location over the past few weeks, and, on Friday, our team became the first group to take up permanent residence. This is how the new place looks. Somewhere in that photo, there are eight developers hard at work [clue: the kitchen, containing the coffee machine, is just out of shot on the left]. It was kind of weird having the whole place to ourselves for now. I guess that will change soon enough, as the rest of the company ships across over the next month.